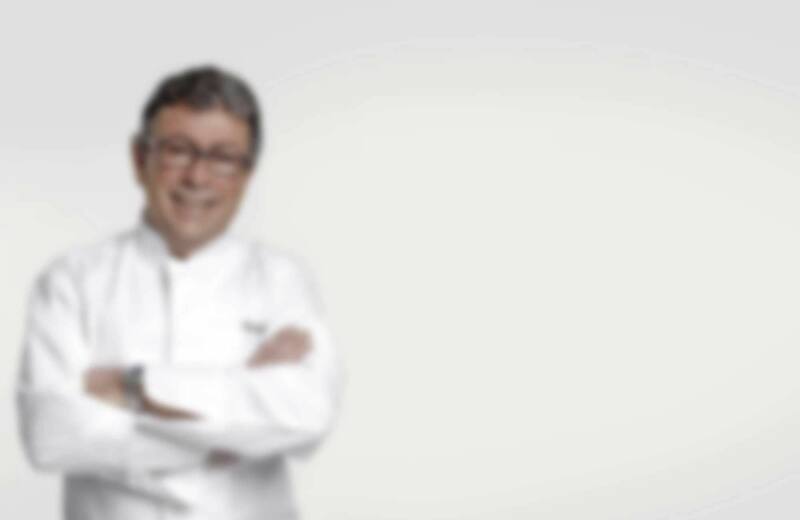 Christian Constant is not only a remarkable chef, he's also a remarkable man. He belongs to that rare species – a recognized artisan loved and respected by those he has trained. He inspires affection. He commands respect. All began in Montauban. Taken on as an apprentice in his hometown, he was already dreaming of one day having his own restaurant. 30 years later, that dream was realized when he opened the doors of "Le Violon d'Ingres" (1 star) at 135 rue Saint Dominique in the 7th district of Paris, then, "Les Cocottes" and "Café Constant" in the same street. June 2012 saw the opening of "Le Bibent" in Toulouse and "Le Bistrot Constant" in Montech. But it was years of hard craft, dedication to his cooking and a dash of luck which brought him his well-deserved success. He worked at Ledoyen restaurant. He spent 7 years as Chef de Cuisine at The Ritz followed by 8 years as Executive Chef at The Hotel de Crillon. Then, he decided it was time to branch out on his own. Christian Constant's burning ambition to create a deluxe but informal brasserie drove him to open the one-starred Le Violon d'Ingres. Les Cocottes and Le Café Constant followed through the magical combination of hard work and being in the right place at the right time, whilst each restaurant has it's very own unique identity, all offer fresh and delicious food at down to earth prices. Regulation evolved, with the entry into force of the European General Data Protection Regulation on May 25th, 2018. The hotel Sofitel Paris Arc de Triomphe had already made strong commitments to ensure the safety and confidentiality of your personal data. However, in accordance with the new European General Data Protection Regulation, we have updated our personal data policy. The hotel, as data controller, processes the personal data you provided when you subscribed to our newsletter or make a reservation in our restaurant for promotional purposes. You have the right to request from the hotel, as data controller, access to and rectification or erasure of your personal data or restriction of processing or to object to processing as well as the right to data portability, by writing to the management of the hotel at the following address : Hotel Sofitel Paris Arc de Triomphe – 14, rue Beaujon – 75008 Paris. You have also the right to lodge a complaint with a supervisory authority.